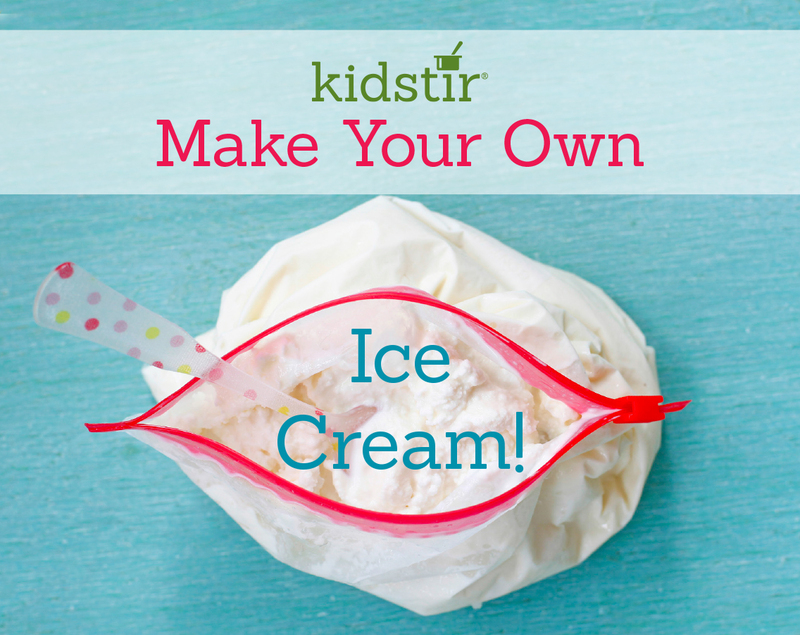 If you don't have an ice cream maker, try mixing up your own frozen treat in a bag! All you need is a little cream, sugar, vanilla, and ice. Shake away! 1. Measure the cream, sugar, and vanilla extract into the quart-size bag. Zip it up tightly. 2. Fill the gallon-size bag with ice. Add the salt. Put the sealed smaller bag inside. Now zip up the larger bag. 3. Shake and shake the bags to make ice cream! It will take about 5 minutes until the cream hardens. 4. Take the smaller bag out of the larger one. Eat the ice cream right out of the bag!